Douglas was commissioned into the 95th Regiment of Foot on 28 January 1801. Promoted to captain in the 79th Regiment of Foot on 19 April 1804, he took part in the Battle of Copenhagen in August 1807, the Battle of Corunna in January 1809 and Battle of Bussaco in September 1810 during the Napoleonic Wars. He went on to fight in the Battle of Nivelle in November 1813, the Battle of the Nive in December 1813 and the Battle of Toulouse in April 1814. Promoted to lieutenant-colonel on 3 December 1812, he commanded his regiment at the Battle of Quatre Bras in June 1815 and the Battle of Waterloo also in June 1815 during the Hundred Days. 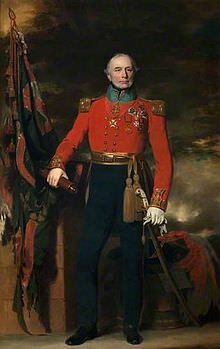 He served as Commander-in-Chief, Scotland and also as Governor of Edinburgh Castle from 1842 to 1847.